A few days ago I decided to upgrade the packages on my Lucid VPS and today I noticed that there is a queue of unsent messages on my VM host with “Service unavailable” response from my mail relay on the VPS host. What happened is I got a new opendkim package (2.6.8-0ubuntu1~ubuntu10.04.1) which listens on a unix domain socket by default, and not inet interface which I had configured for the filters. This took a while since I could not recall how I configured opendkim to listen to tcp socket in the first place. At least now it is obvious. I have since moved away from WordPress back to a static generator, so everything below can be considered an outdated information. Update: Since I found out that the hosting provider actually provides a dedicated IP upon request for a quite small fee (25₴ at the moment, around $3), the value of the article has decreased. However, it is perfectly usable when nginx and wordpress are installed on the same host/datacenter but nginx is fronting apache. I have a VPS which is used for occasional VPN access (using OpenVPN). One option was to always start OpenVPN client before accessing the blog. I could easily forget to do that. My browser may open the tab where I am already logged in and then my session cookie can be easily intercepted. Also I can’t use this VPS for WordPress hosting itself because it has only 512Mb of RAM and bringing up a SQL server, HTTP server (as well as keeping existing mail server setup, bip and OpenVPN running) may cause something to fall outside the available memory. Having said that, it looks like it is possible to run a WordPress blog in a similar configuration with whopping 10 million hits a day. I decided to make this VPS act as a proxy server, which listens to HTTP and HTTPS traffic and forwards the requests to the hosting provider. In this case everything will pass through the VPS. WordPress already has the options to force https scheme on wp-login.php and wp-admin directory. Since this VPS is a low-profile one, a slim HTTP server is required. While I am already familiar with Lighttpd, I decided to try nginx. You will need a SSL certificate. StartSSL is a good place to get one for free and it is recognized by major browsers out of the box. Approving new accounts takes time so I decided to use the old proven self signed certificate first and then change it to a proper one. Here I would like to remind how important StartSSL client certificate is. You get the client certificate upon account approval and then use it to log into StartSSL control panel. This certificate will eventually expire and if you fail to renew it, you will never be able to get back to your account. Don’t repeat my mistake – when StartSSL tells you the certificate is about to expire, then get a new one immediately. Nginx comes with a proxy cache module. At first I started with a simple configuration that cached everything, then I found that the pages that were rendered for some commenter were also served to other people disclosing the previous commenter’s email. This is why preventing serving the cached content to the owners of our cookies is so important. nic.ua also uses nginx as a proxy in front of apache. Therefore it is overwriting the X-Real-IP header which my proxy is setting. In order to work around that I used X-Upstream-Real-IP header, which I use in .htaccess to set UPSTREAM_PROXY_TRUSTED variable. The latter is then checked in wp-config.php to decide whether X-Forwarded-Proto and X-Upstream-Real-IP headers can be trusted. These X- headers can easily be forged and X-Forwarded-Proto should only be used if it comes from the trusted sources, or else the MITM attacks become extremely easy. # We allow all interaction to happen over HTTPS too. While it looks like I am just re-setting proxy_cache_key to the default value, nginx is actually using backend URL by default (contrary to the docs! ), thus you will be serving a document full of generated HTTP links on a HTTPS connection and vice versa. Nginx is configured, the proxy server is ready to serve. * so we are using our own header. This approach has several flaws. First of all, I am increasing the number of points of failure. 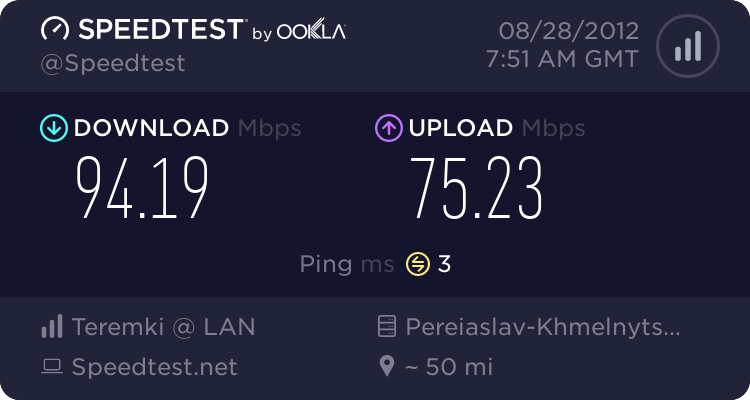 Since the data has to travel from Ukraine to the US even when request comes from Ukraine, the latency is increased a bit. CDN usage also gets more complicated (unless static files are served on a different domain). Neither of these issues is currently bothering as I am still in the process of migrating my content. Please note that I am not a nginx guru, so if you see any error in the configuration, let me know. Мою фамилию коверкали различными способами – Ляпишев, Япишев, Епищев, даже Ёжиков. В официальных документах я всегда первым делом проверял фамилию. В один прекрасный день работы в Venali мы узнали о том, что есть возможность поехать в США и что-нибудь там делать. Для того, чтобы поеать в США нужна виза, а визу надо клеить в заграничный паспорт. Иду собираю все необходимые справки, включая из ненавистного военкомата, однако так как по слухам уехать мы можем очень скоро, то решил делать паспорт в срочном режиме. Исправлять на месте нельзя. Раз софт сказал так транслитерировать, так и будет. Еду домой, начинаю штудировать всевозможные документы, отвечающие за транслитерацию. Нахожу два взаимоисключающих закона. Согласно одному из них, правильно писать таки YEPISHEV, согласно другому – IEPISHEV. Еду опять в паспортный стол где меня обрадовали тем, что паспорт уже ушел в печать. Срочная выдача паспорта оказалась уж очень срочной. Через неделю я получаю паспорт с кривой фамилией, но решил не сдаваться. Начинаю опять собирать документы для паспорта. В военкомате на меня посмотрели как на идиота, но справку дали. Собрал все, что нужно и поехал опять в Киев. В ОВИРе мне говорят, что нужен какой-нибудь документ, подтверждающий именно ту транслитерацию, которую я хочу использовать. Несколько секунд на размышление и оказывается, что это может быть любой документ, даже ISIC. Мчусь на Крещатик делать ISIC, там первый вариант карточки мне выдают с “Roman Y.”. С надеждой переспрашиваю, точно ли так правильно. Еду с ISIC в ОВИР, там делают с него копию, пишу заявление, начальник пишет “Не заперечую”, опять сдаю все документы, дважды проверяю все поля. Все, я теперь официально Roman Yepishev. В обязанности NOC инженера входили звонки телефонным операторам (carrier) и выяснение вопросов типа “Почему не работает номер 1555123456?”, “А куда вообще отправляются звонки?”. В большинстве случаев нужно просто указывать свое имя. Наученный горьким опытом (“Mister ye-pi-sch..ev?”), я предпочитал просто говорить свое имя без фамилии. Operator: May I have your name please? Operator: Em, what is the last name? Operator: I am sorry, but we require the full name to be specified. Operator: (5 секунд паузы) Okay, I will put “Y” there. Update (2012-11-21): The reader is back from the service centre and it appears to have the issue fixed. If you see your reader displaying the same symptoms, please check whether firmware update fixes the issue. Otherwise the only way to fix it is to send the device for repair. This is a hardware failure and it is covered by the warranty. This is what went wrong. 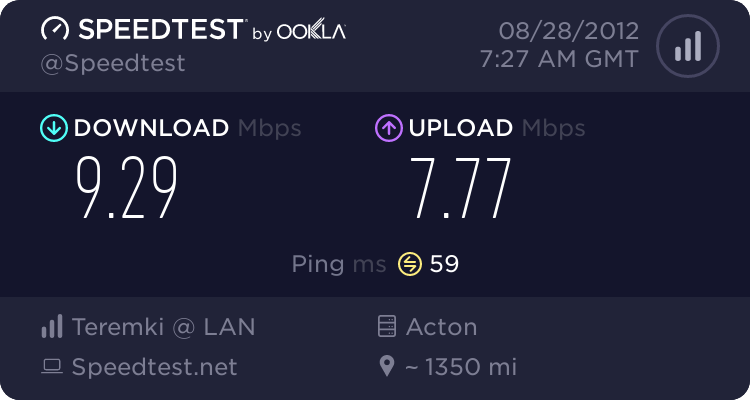 Upon bringing it home and connecting to Wi-Fi it prompted me to update the software. I decided that was a good idea. I haven’t played a lot with it before firmware update but after firmware update it came back with completely washed out display. The reader was immediately returned for diagnosing as it looks like a hardware fault. If you shut the device down and turn it back on after 10 minutes the display looks normal again. There is a firmware for devices that exhibit such behavior. Unfortunately it did not change much – grey areas were still disappearing but at a slower rate. Now it took me mere seconds to find the reason. In the traceback above, UnicodeDecodeError was raised because msg was already a unicode object, and message_body was a str. It happened because the URL supplied to the request method was unicode. Python 2.7 was trying to concatenate unicode and str, decided that it’s best way to make message_body a unicode string using the default ascii encoding, but the content was full of symbols outside ASCII space. Converting URL to str fixed the issue as URLs are not good candidates to be passed around decoded. My Acer EXIF Fixup application was published in Google Play. This will be only interesting to Acer Liquid owners who are tired of having to post-process EXIF produced by the phone camera. I am not terribly happy with the code as it does not do proper locking to prevent concurrent modification or uses AsyncTask inside an Activity (in case of scanning for existing images), but it fixes my issue so I am happy to share the result. The original XBox 360 kit contained only one controller. I decided to purchase another one after a while. It’s weird that there is no official info on NSF-0001 model (which can be bought e.g. online or various offline stores too, such as protoria.ua) at Microsoft web site, you can only find JR9-00011 there. The look and feel differs. Original controller has a smooth surface while the NSF version has a matte look. Also, the LEDs installed are different. NSF version is dimmer. The label at the battery compartment contains less information than the original controller but model name “1403″ is present. NSF controller also has a holographic label which differs from the one that is attached to the kit version. NSF labels do change the color but don’t change the position. You can buy this controller even at BestBuy but it does not really look like an original Microsoft device even though the exposed schematics at the battery compartment look the same. The controller weights 228g without the batteries and the original one is 218g. It worked quite well during the original tests but after 2 months it started to develop a fault at the left trigger which caused it to continue sending “pressed” event even when released. It is not always reproducible so you may want to pass on this device and purchase an original instead. Відразу після переїзду в Голосіївський район я подав заявку на підключення до “Теремки Лан”. Вибір провайдера був простий – побачив рекламу на дошці оголошень та вирішив підключитися. Підкупило те, що серед внутрішніх ресурсів були XMPP та NTP сервери. Можливо, ними я ніколи не буду користуватися, але сам факт існування є цікавим. Під час подачі заявки формується договір (бажано ім’я заповнювати українською мовою, хоча весь сайт російською), квитанція на сплату двох місяців по тарифу + 1 гривню за підключення. Наступного дня мені вже видали IP адресу. Через 5 робочих днів після зарахування грошей на рахунок прийшли співробітники провайдера, протягнули кабель, розповіли про налаштування. Отже, DHCP в мережі немає, тому IP адресу треба прописувати вручну. Система контролює доступ до мережі по MAC адресі. Все. Ніякої мороки з PPTP/L2TP. На сайті статистики можна переглянути статус послуги та залишок на рахунку, відправити повідомлення в NOC (network operations center) та згенерувати квитанцію. Нічого зайвого, хоча зміну тарифного плану також потрібно буде робити через NOC. Система також вміє надсилати повідомлення про зміну статусу та недостатній залишок коштів через SMS. Зручно. Тепер в мене є нормальний інтернет.